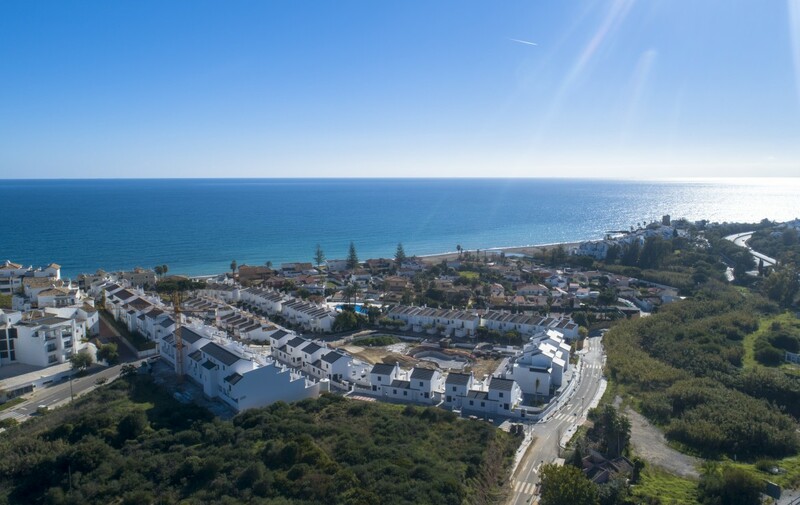 These new stunning and key ready 2 and 3 bedroom beach apartments in Estepona are less than 100m from the beach and positioned within the green belt, close to golf courses and only 5 minutes from the vibrant town of Estepona. 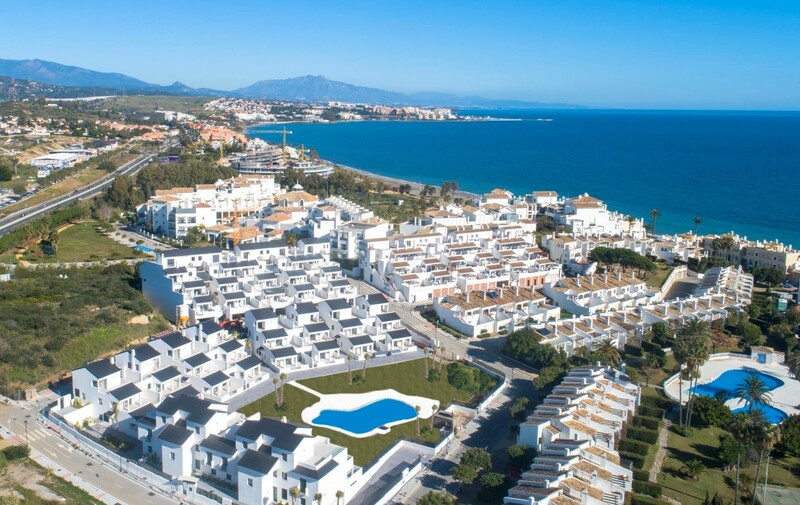 Modern and contemporary, the apartments are designed to enjoy magnificent sea views and easy access to the endless golden beaches of Estepona. 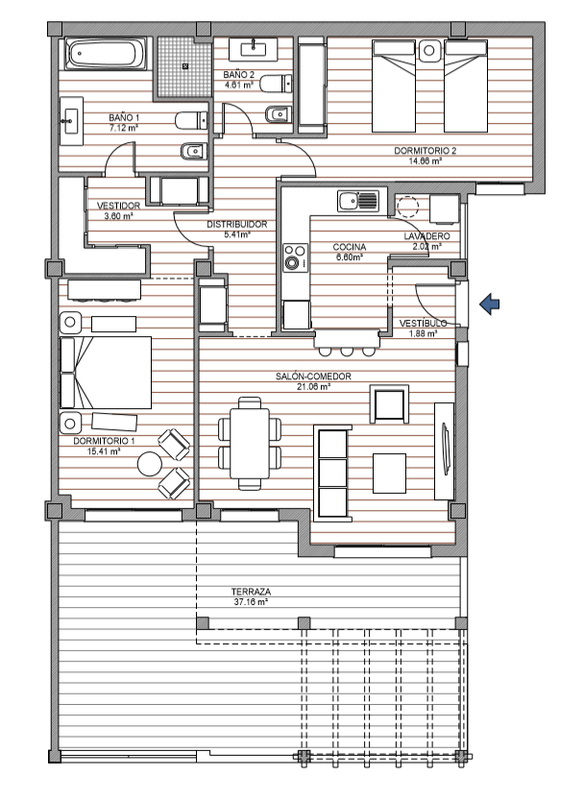 These spacious apartments boast floor to ceiling windows, filling every room with natural light. Modern fully fitted semi-open kitchens lead onto generous sized living areas with amazing terraces overlooking the tropical garden and exotic beach pool. Bedrooms with en-suite bathrooms also have private terraces where you can enjoy the endless views of the Mediterranean sea and on the horizon, the Atlas mountains in Africa. Penthouses have their own private solariums with panoramic views. 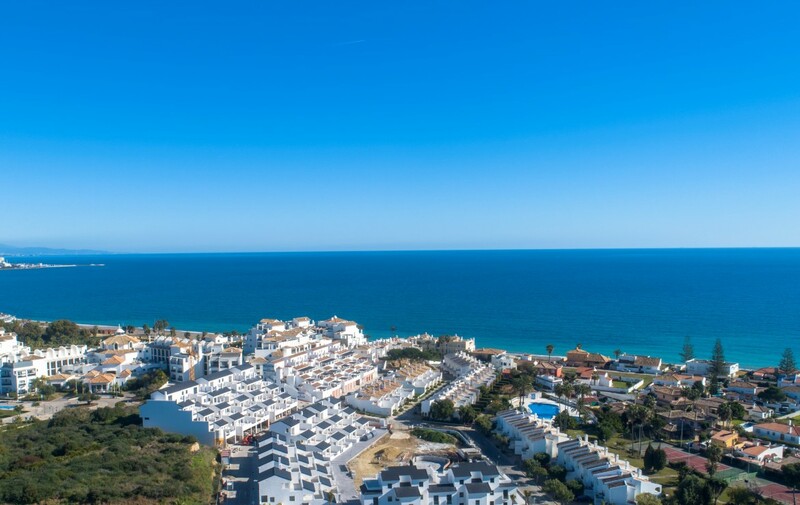 Newly built with long term guarantees these key ready apartments are an ideal choice for someone who is looking to purchase a holiday home or is planning to move permanently to the Costa Del Sol. The location is second to none, only minutes from the Estepona Marina, 5 minutes to the Duquesa Marina and 15 minutes away from Puerto Banus in Marbella. There is also a new commercial area with the latest high street fashion stores as well as large supermarkets and a brand new hospital for foreign residents. Come and view these stunning beach apartments in Estepona or click here to let us help you find your dream property.